We're especially thrilled to be playing Little Radio's Summer Camp this coming Sunday, 08/03/08, with Restaurant and Spider Problem. Little Radio's Downtown Warehouse is located at 1218 Long Beach Ave., Los Angeles, CA 90021. 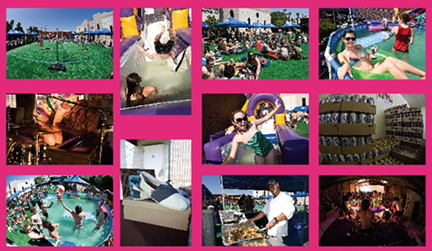 Where else are you going to get an open mic from 12pm-3pm, a 30 foot water slide, an 18 foot pool, amazing food from Tagine, free cold drinks and bands!!?!? Click here for Summer Camp photos. Bands start at 3pm.